As a leading provider of PXI products in Asia's Test & Measurement market, ADLINK has devoted extensive field experience to the PXI platform. After more than ten years developing more than 100 PXI products for automation and testing, and as a sponsor member of the PXI System Alliance, ADLINK continues to expand PXI and PXI Express offerings with innovative products, meeting the unique needs of high-speed and high-bandwidth applications, such as spectral monitoring and signal intelligence. PXI is an ideal deployment platform for measurement and automated test systems. ADLINK sets compatibility tests as critical for device verification to ensure complete compatibility. ADLINK guarantees rugged, highly reliable,solidly developed PXI products. ADLINK provides instrumentation modules for data acquisition and digital I/O with PCI, PCI Express, PXI, and USB buses; digitizers with high-dynamic-range, low-distortion measurement using high-resolution digitizers ranging from 14 to 24 bits of resolution, application-driven modules like high-resolution sound & vibration products, and switch multiplexers. In addition, motion control and vision modules are also available for optimum integration of machine automation into PXI chassis. 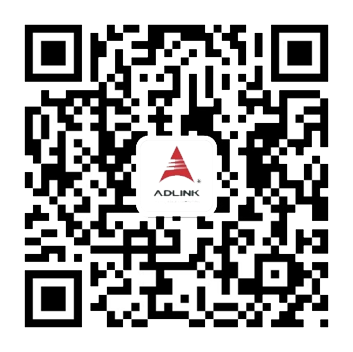 With the advantages of PC industry innovation and manufacturing, and by natively leveraging PXI PC technologies, ADLINK adopts the latest technology and improves cost reduction. With a rich history in measurement and automation, as well as in hardware design and software integration, ADLINK provides a broad portfolio of high performance products with higher speed/bandwidth bus interfaces. ADLINK delivers robust software support for their comprehensive modular instrument products. Drivers for mainstream Windows and Linux Operating Systems are available, as is diverse various SDK support for third-party applications including Visual Studio, LabVIEW™ and MATLAB®. In addition, ADLINK also provides componentware for measurement and HMI, and ready-to-run applications like Data Logger.